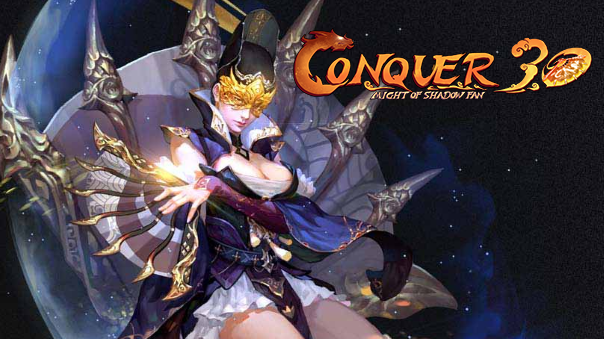 The PvP oriented MMOPRG, Conquer Online announced that an important expansion, “Kingdom War”, will be released in the first quarter of 2015. In this expansion, 60 servers will be split into 6 big worlds. Every single server will be an independent kingdom, with ten kingdoms in each world. Facing potential invasion from other kingdoms, players from each kingdom need to complete quests, kill bosses, engage in PvP battles, and rush other kingdoms to carry out subversion, sabotage, intervention, and aggression! 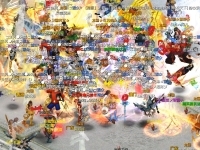 After the 1st Kingdom War, there’ll be a vote for all heroes for the favorite party to become the ruling party, and the president of the ruling party will be the “Emperor” for that week. A new Emperor will be elected after the next round of the Kingdom War. There are three fortress gates for the offense to attack. 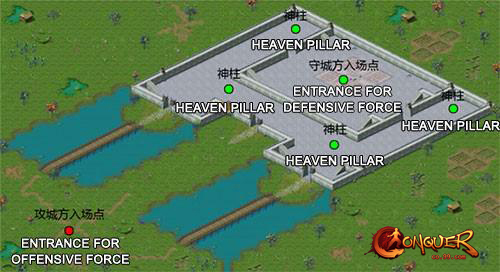 The goal for heroes of the offense is to storm their way into the inner fortress and destroy all four Heaven Pillars.